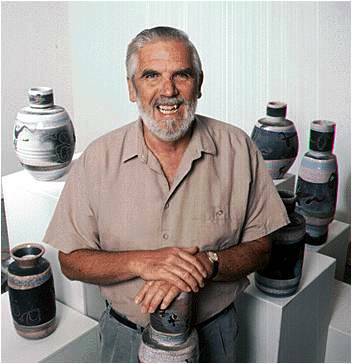 Another great one in the history of Canadian studio ceramics has passed. Award winning Walter Dexter started in Alberta with Luke Lindoe but spent most of his years in British Columbia, especially Vancouver Island. Raku, Stoneware, and his Torso Vases are part of his teaching and artistic legacy. He will be missed. This entry was posted in British Columbia, Ceramics and tagged Walter Dexter on June 4, 2015 by Barry Morrison. It is an end of an era! A legend has left us!